To this day, we’re still amazed at the amount of detail professional coaches pay to every aspect of their team’s play. If it has even the smallest of potential to influence the outcome of the game, they’re on it and trying to sway its influence in their favour. With the amount of information available to coaches via analytics and video, there is, it seems, an infinite amount of details to manage. 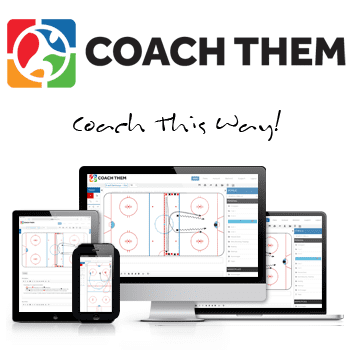 So if you’re a minor hockey coach, and don’t have 12+ hours a day to invest in preparing your team, how can you manage a small number of details to give your team an edge? How about starting with face-offs!! It’s no secret that teams that succeed in gaining possession of the puck from face-offs the majority of the time control the majority of the play and ultimately have a higher winning percentage in those games. 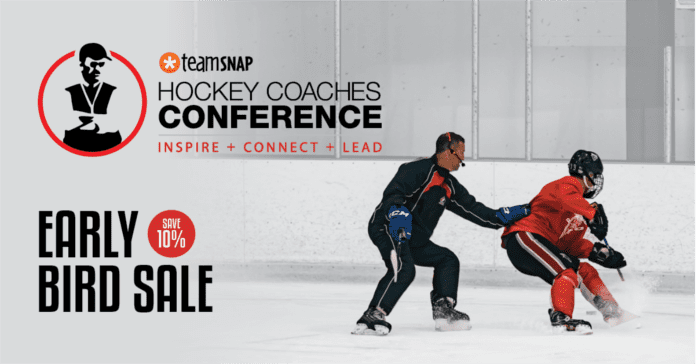 For example, University of Denver Head Coach Jim Montgomery did a presentation on Playing a Puck Possession Game at our TeamSnap Hockey Coaches Conference in Toronto this past summer and spoke on the importance his program puts on gaining the puck , whether they win or lose the draw. You can watch an excerpt of his presentation where he explains in more detail HERE. 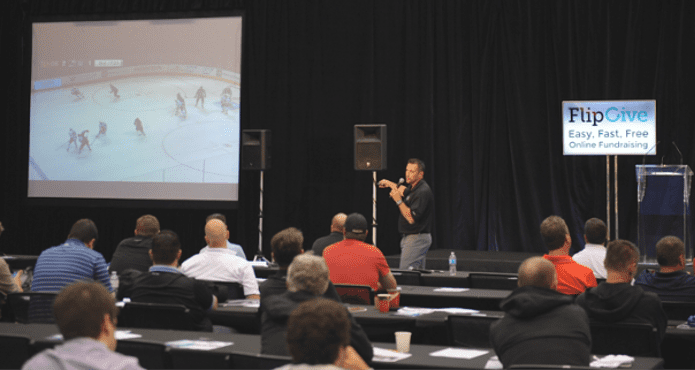 That same conference, San Jose Sharks Assistant Coaches, Steve Spott and Bob Boughner provided an extremely thorough overview on the Sharks’ philosophy and strategies when it comes to face-offs. The pair walked our audience through various scenarios such as location of the draw, use of personnel, time remaining in the game, special teams, the score…etc. When you start to think about it, if you account for the all circumstances your team will find itself in during a given game, that’s a lot of faceoff plays you need to cover with your group. It’s likely too much to cover in one practice or to expect your players to digest in one shot. Making time to touch on face-offs throughout the season is important and will make a huge difference in your team’s ability to control the play come playoff time. Steve had spoken at our conference before but this was the first time Bob had joined us. It was interesting and often comical to watch them tag team the presentation. They were like two brothers, working together but also throwing in the odd jab at each other. It’s clear they’ve developed quite a bond during their time together in San Jose. They also bring a ton of experience between the two of them. Both had successful careers in the OHL (Bob won back -to-back Memorial Cups with the Windsor Spitfires) and have represented Canada on the international stage. We expect it won’t be long until one, if not both of them, get a shot at being an NHL head coach. Take the time to watch this excerpt from Steve and Bob’s presentation and consider checking out the entire presentation in our TCS | MEMBERS section. 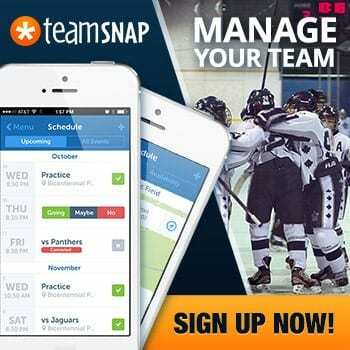 If you’re SERIOUS about getting the most out of your team this season, it’s worth it. Plus the first 30 days of your membership is FREE, so there’s no risk.